Roseburrough Heavy Duty Pea Shooter 24"
Estwing's 40 oz. lineman's hammer is forged in 1-piece solid steel, and fully polished. Balance and temper are unsurpassed. It has a bonded and molded on Shock Reduction Grip that reduces shock up to 70% and will not come off. Estwing hammers are the only hammers that can make this claim. 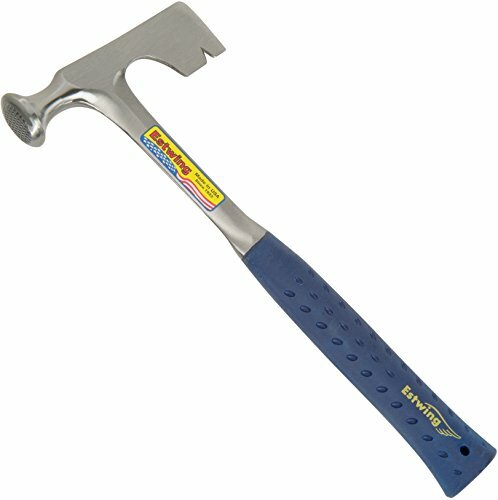 Both the head and handle are forged in 1-piece solid steel and have an attractive blue UV coating. 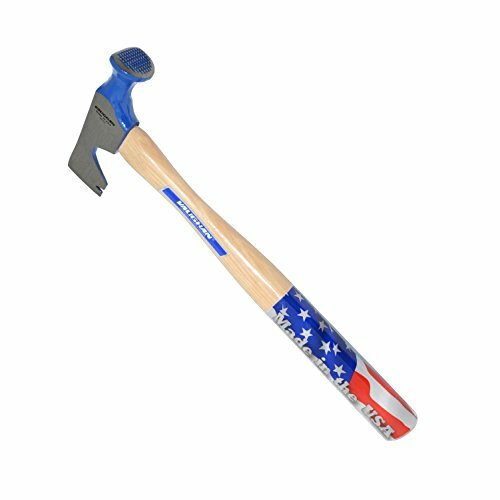 This is the perfect hammer for general, and light to medium duty. 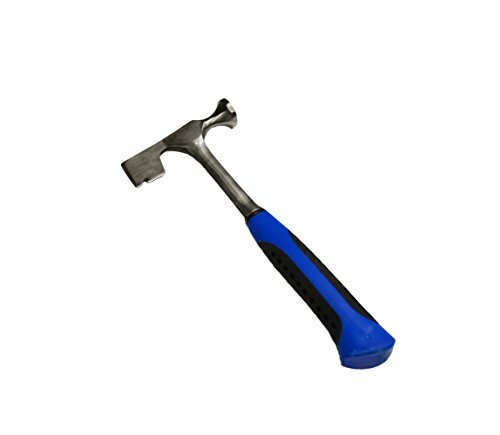 Nail hammers are designed for striking common and finishing nails and nail sets. Made in USA. Protect your eyes from flying particles and dust. Always wear safety goggles. Bystanders shall also wear safety goggles. 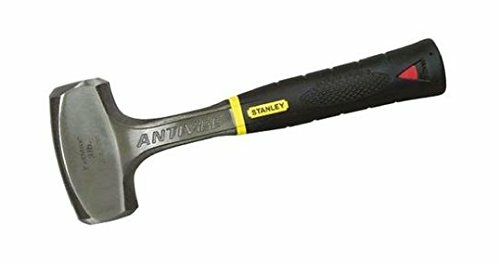 The Stanley FMHT51303 FatMax 14oz Drywall Hammer features forged, one-piece steel construction for increased strength and durability. The ergonomically designed handle with rubber grip is designed for increased comfort and performance. 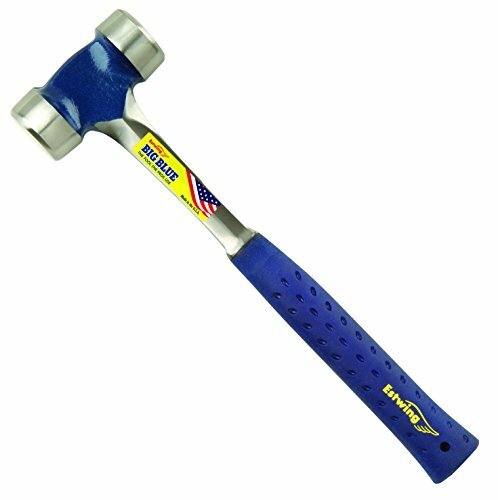 This hammer is ideal for installing drywall or gypsum board. Precision balanced. 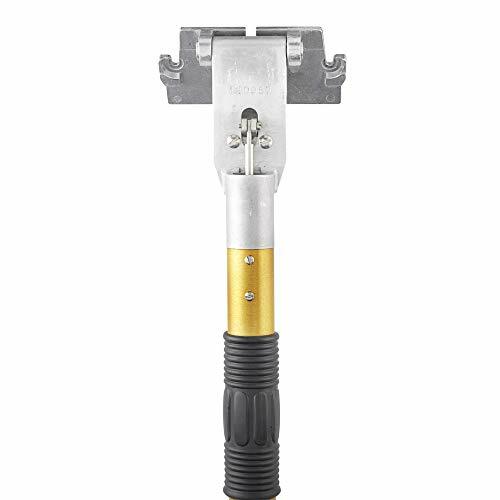 This drywall hammer has a checkered face and straight handle. Limited Lifetime Warranty. Roseburrough's Pea Shooter is an incredibly useful carpentry tool. It is capable of accessing tight spaces where you cannot normally use a standard hammer, and is also useful for out of reach areas that would usually require a ladder. This tool is the fastest way to knock hard-to-reach nail heads down flush. Simply place the end of the Pea Shooter over the nail head and slam the slide hammer until the head is flush. Sturdy all steel construction with a soft grip handle. 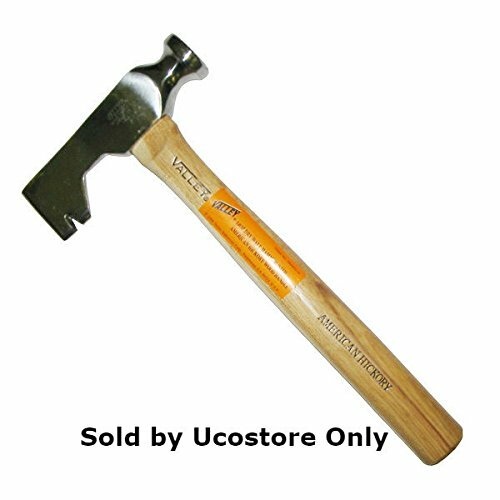 19oz smooth poly fiberglass hammer is manufactured with a durable, fiberglass handle and precision balanced construction providing a strong and smooth striking power while the rubber over mold offers a non-slip grip. Features an integrated magnetic nail set allowing users to set nails one handed and an asymmetrical anti-ring claw minimizing ringing when striking hard objects. 2 lb cross pein hammer with hickory handle. The heads are drop forged with machined milled face. Solidly set nails into wallboard! polished head features a checkered face makes nailing easy and prevents breaking the surface of wallboard. 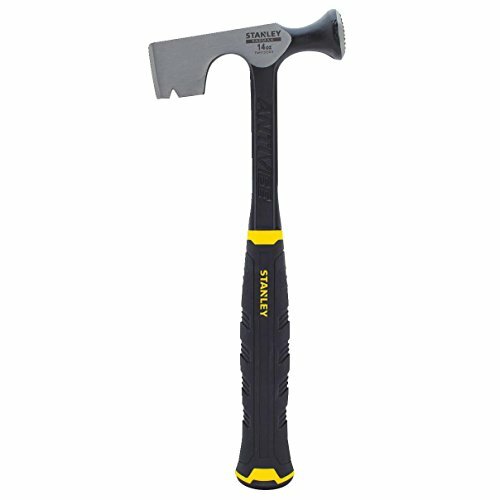 The 14 ounce forged head provides the right amount of oomph when hammering. The head features a 1-3/4" blade scores drywall for rough cut openings. The axe blade also has a puller notch for pulling nails. The head is perfectly balanced on a 16" handle for ease of movements. Hi-Craft offers valued-priced trade tools for tradesmen and homeowners. Hi-Craft is a wholly owned subsidiary of Kraft tool co.
Beveled head design helps set and dimple for a recessed drywall nail head finish and texture into the drywall. 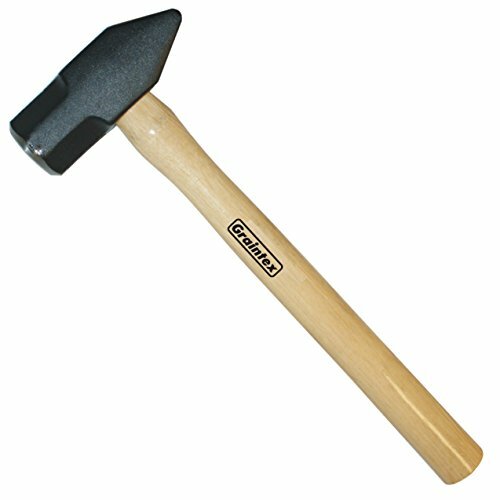 Ax head helps to quickly score and snap drywall. Color Varies. ToolPro produces quality tools designed specifically for the professional contractor and installer. They understand that quality is your first concern when shopping for tools that will be subjected to the heavy demands of construction professionals, so all tools are field tested to ensure they are "jobsite ready". ToolPro's focus is on innovation, quality and value, a focus that is readily apparent when you use these tools. Simply the best choice for installers and finishers in the Drywall, EIFS, Stucco and Acoustical trades. Forged, heat treated steel head for long life with no peeling or flaking. Convex, serrated face designed to set nail in a perfect dimple and won't bruise drywall or break the paper. Long life, lacquered 14 hardwood handle is moisture resistant. Handle is offset by 3-1/2 for knuckle clearance. 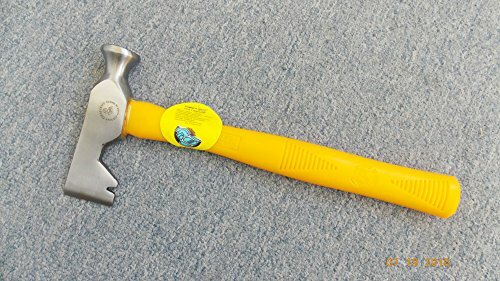 Hatchet shaped blade for rough trimming of drywall. Forged steel head. Convex, serrated face designed to set nail in perfect "dimple." clear grain hardwood handle with clear coat finish has 3-1/2" off-set for knuckle clearance. 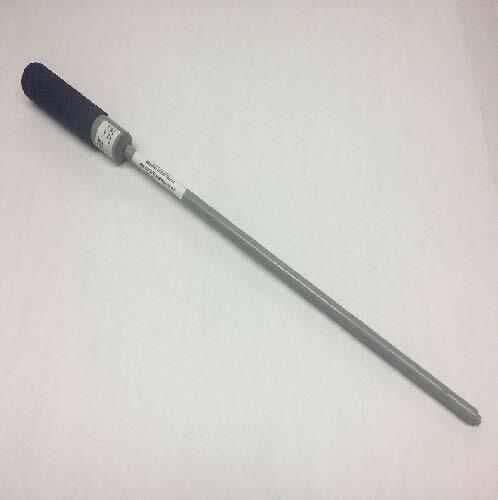 Forged, heat treated steel head for long life with no peeling or flaking. Convex, serrated face designed to set nail in a perfect "dimple" and won't bruise drywall or break the paper. Long life, lacquered hardwood handle is moisture resistant. 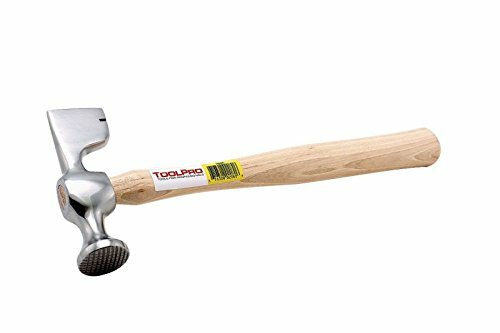 14 OZ Drywall Hammer, Milled Face, 12" Offset Hickory Handle, Wedge Shaped Blade, Nail Puller, Balanced Steel Checkered Head. This product is highly durable. This product is made in China. 14oz head. Drop forged from high grade carbon steel. Professionally machined and polished. Precisely heat treated and tempered For maximum strength. Milled Striking face prevents nailing slippery. Notched blade for nail prying. Complete with fiberglass handle unbreakable under normal use. 3 lb cross pein hammer with hickory handle. The heads are drop forged with machined milled face.